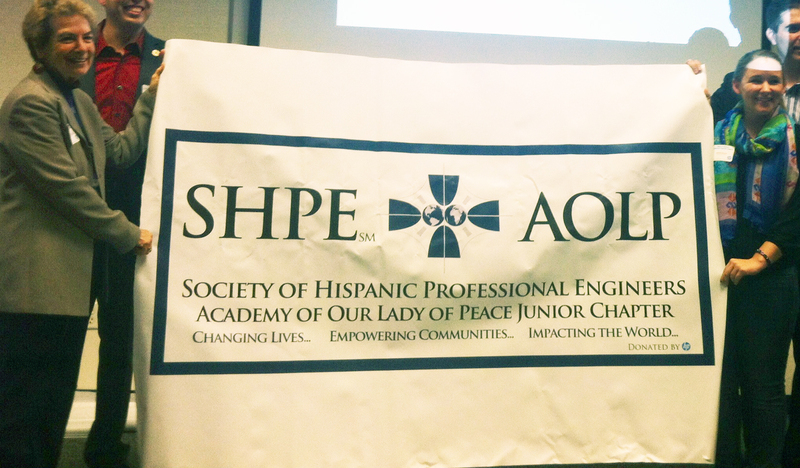 SHPE (The Society of Hispanic Professional Engineers) was established as a professional organization forty (40) years ago. The professional chapters extended their resources and vision to Universities and Colleges as a way of supporting young Hispanic men and women, who wished to pursue careers in engineering. In 2003 the SHPE Jr. Chapters High School Program was formed to encourage students, primarily Hispanics, to pursue areas of science, technology, engineering and mathematics study. These were and still are areas not dominated by Hispanics or women. Under the vision of Annamarie McKellips, with the support and guidance of Mrs. Sandi Wong McKellips, Michael Cruz and the late Jesse Macias, all honored, locally known professional SHPE members, OLP was the first Catholic, as well as first single gender, school in the United States and Puerto Rico to apply for and be granted a Jr. SHPE Chapter status. 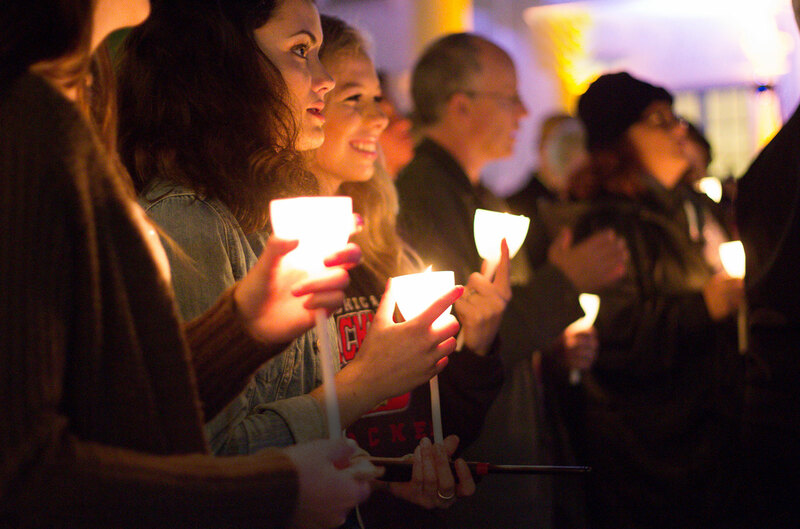 Since that first year, 2008, we have grown in membership and involvement. One of our purposes is to open avenues of consideration for the community of OLP to see and experience what it means to be an engineer. This year we have had guest speakers come to campus from both SOLAR Turbines, Engineer and Jr. SHPE Liaison Veronica Alcantara, and the US Navy, Commander Tamara Graham, Helicopter Squadron Commander and NAVY Diversity Officer. In the works are speakers from QUALCOMM, SDG&E, CALTRANS and ATKINS. When they have been in the West, we have participated in the Professional National Conventions, where students were introduced to ‘movers and shakers’ in industry as well as persons who have greatly influenced educational changes, i.e. Jaime Escalante. We have been involved in supporting and working with the professional San Diego chapter of SHPE with out-reach programs to younger students as well as the greater San Diego community, helping out during Engineering Week and working with SWE (Society of Women Engineers) through their SWEET program. We have participated in Science EXPO at PetCo Park, since its inception. Saturday, March 22, 2014, was our most recent successful endeavor, showing and sharing science and engineering through Lather Painting, an artistic expression of Materials Chemistry, and ‘straw-balloon’ rocket propulsion enactments.